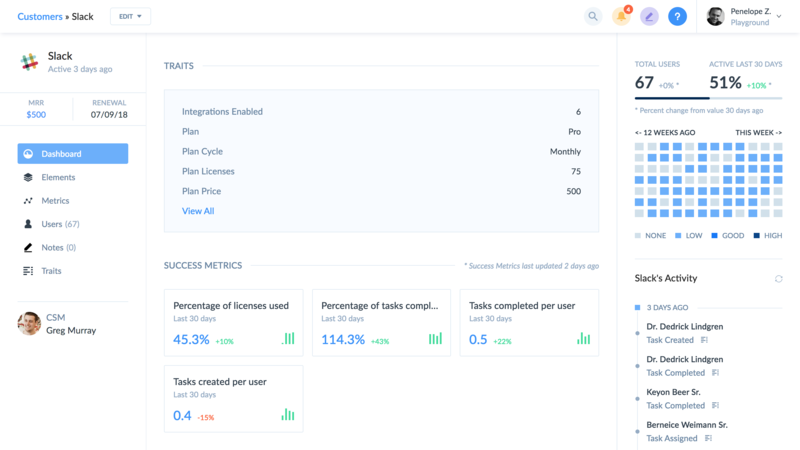 Success Metrics are custom KPIs defined using the data you feed into Vitally and calculated for each of your customers. A Success Metric is a measurement of critical product usage at your customers. While your product may track almost every interaction a user has with it, Success Metrics focus on a handful of essential "stories" based on those interactions. 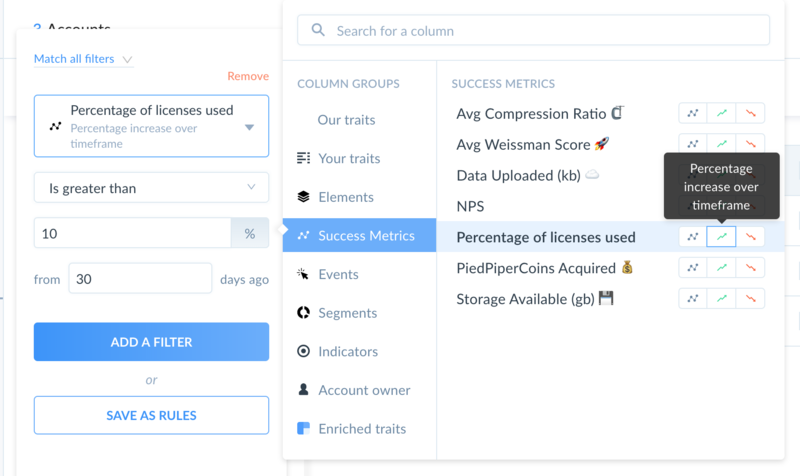 Essentially, think of Success Metrics as your customers' KPIs for product usage. They can be used to measure practically anything you need to measure for your customers. In fact, we have a list of examples/use cases here. 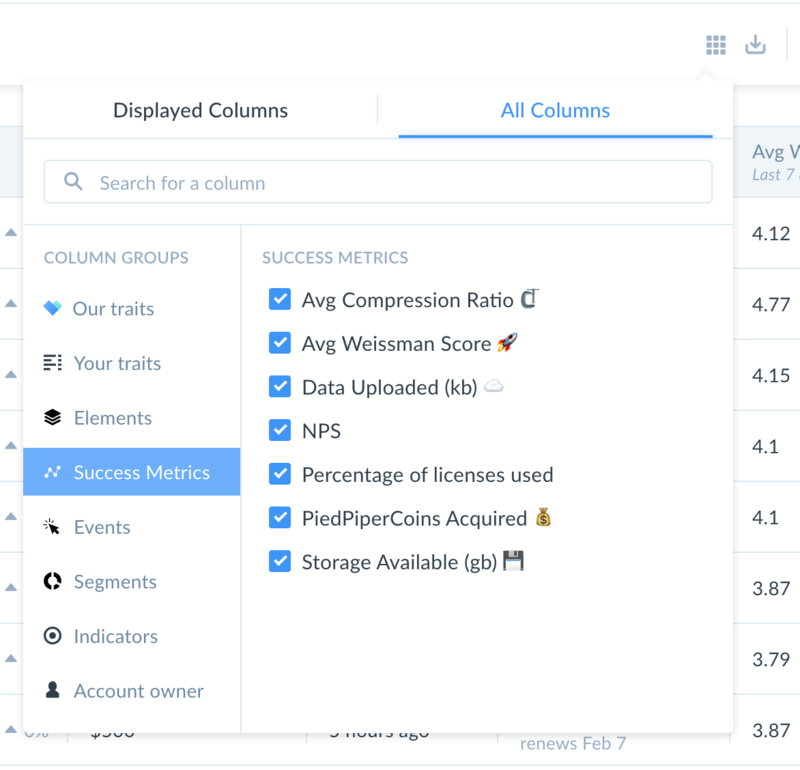 Like Vitally's default metrics, any Success Metrics you create are available as Columns on your customers. 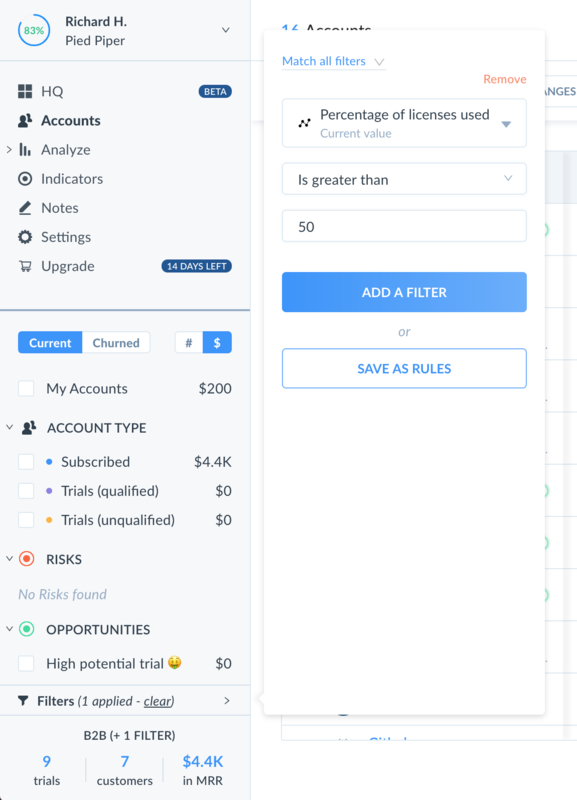 These columns can then be used when sorting and filtering your customers. You can even filter customers by an increase or decrease in a Success Metric's value over a dynamic timeframe. When viewing an individual customer, their current Success Metric values will be displayed front-and-center on their dashboard. You can also dig into how a customer's Success Metrics are trending over time in the Metrics section on their dashboard. And finally, each Success Metric comes with a histogram showing ranges of Success Metric values and how many customers belong in each range. You can filter your customer set here and even click on a certain range to view customers included in it!